The most important work at their summer cottage falls in the spring. At this time, produce planting crops and primary care. From, how well will done this work depends the future crop. Get out in the garden, remove all of the winter shelter. Remove the weeds before they grew and got stronger. Perform the cleaning in the greenhouse. After that, soil and multiroute all fruit and ornamental trees, perennials, shrubs. Use the generic or the potassium-rich fertilizer. 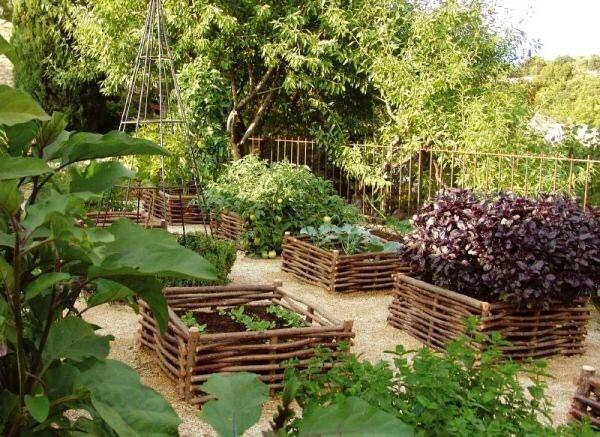 Use organic mulch, it will retain all the necessary substances in the soil. Still low zero temperature, you can put all your desired shrubs and trees. In this period also need to trim in the autumn and summer flowering trees and shrubs. Plants that bloom in early summer and in spring, prune immediately after flowering. This is a great time for grafting trees. Take care of hedges, trim and water it. Take care of the seedlings, plant garlic, onion, spring planting bulbs and summer planting. Warm the soil for vegetables to sow and transplant the seedlings. Start to prepare a young, but strong plants for planting in the open ground. When the temperature is above zero will be fixed eventually, and the threat of night frost has passed, start the mass sowing in the ground heat-loving ornamental annuals (nasturtium, heliotrope, fuchsia, Petunia, verbena, begonia etc.) and vegetable seedlings. Annuals to plant in hanging baskets, flower beds, tubs or pots. In may comes the time for flowering ornamental shrubs and trees (gloxinia, lilac, viburnum, Apple, Camellia, Magnolia, cherry, Azalea, wolf bark, mock orange, and many other plants). After flowering they should be cut for the formation of new shoots. From trimmed raw materials it is possible to make cuttings. During this period, most flowering bulbs (lilies, daffodils, hyacinths, hazel, snowdrops, tulips, crocuses and other flowers). After flowering, these plants allow the leaves to die their natural way. Can mulch leaves fresh yellow onion compost to hide their ugly appearance. Snowdrops should be transplanted after flowering. Dig up summer bulbs of tulips and hyacinths 30-40 days after you cut off the dead stems. To mow a lawn need each week. Spray plants against pests and diseases.